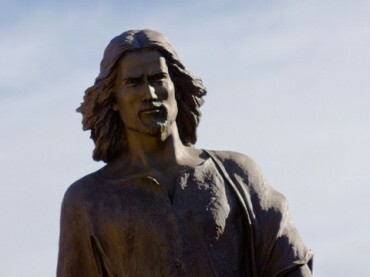 A professor at Georgetown University–a Roman Catholic institution–made a shocking statement about Jesus Christ on television Monday. Michael Eric Dyson, a professor of sociology at Georgetown, was being interviewed about “Duck Dynasty” star Phil Robertson’s recent controversial statement that homosexuality is a sin. What television network aired this interview? MSNBC, of course. This is not the first time The College Fix has reported on the antics of professor Dyson. In December of 2011, we reported on Dyson’s full-credit academic course focusing on the lyrics of rap artist Jay-Z. Despite the fact that the class, entitled “Sociology of Hip-Hop: Jay-Z,” centers on the lyrics of an artist who says such profound things as, “I got 99 problems, but a b*tch ain’t one,” Dyson insisted that his class consisted of meaningful scholarship. In view of Michael Dyson’s string of statements to the media over the past couple of years, it is remarkable that he is employed by a Roman Catholic university. According to Catholic Education Daily, “Georgetown University ranks as the highest paying Catholic college in the country, with average full professors taking in more than $170,000.” In all likelihood, Dyson’s salary is much higher than that, however, because Georgetown has given Dyson the rank of “University Professor”–the highest faculty ranking available, reserved only for those the university considers its most distinguished scholars.